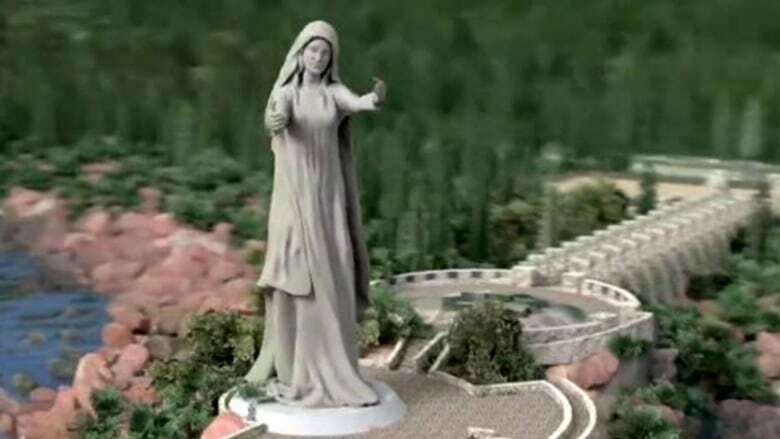 The controversial Mother Canada project planned for the Cape Breton Highlands National Park will not be going ahead after Parks Canada announced Friday it is withdrawing its support. 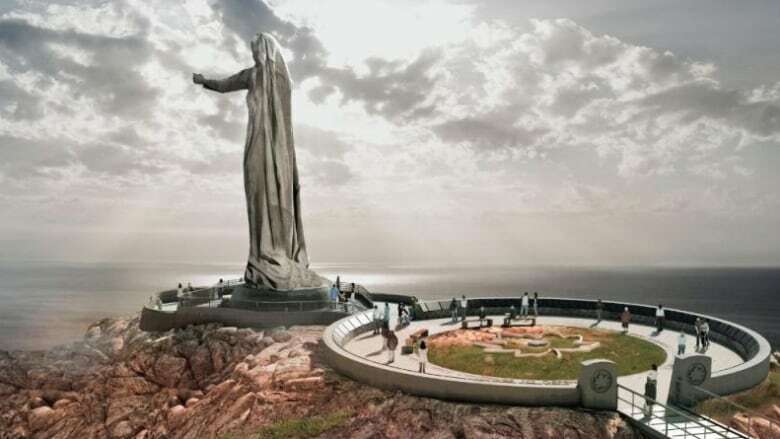 The controversial Mother Canada project planned for the Cape Breton Highlands National Park will not be going ahead, to the delight of opponents and disappointment of supporters. Parks Canada yanked its support of the $25-million project that included a 24-metre statue planned for Green Cove. The project was being backed by a private group, the Never Forgotten National Memorial Foundation. The decision came following a review that found "too many key elements were outstanding" for a completion date of July 1, 2017, according to a Parks Canada news release issued Friday. The issues include funding, a final design and an agreement on the structuring of the funding for construction and maintenance, Parks Canada said. "Parks Canada will no longer be working towards the realization of the memorial in Cape Breton Highlands National Park. As a result, the project will not be moving forward on Parks Canada land," the news release said. Parks Canada turned down an interview request. The news came as a shock and disappointment to the Never Forgotten National Memorial Foundation, community director Meg Stokes said in a statement Friday afternoon. 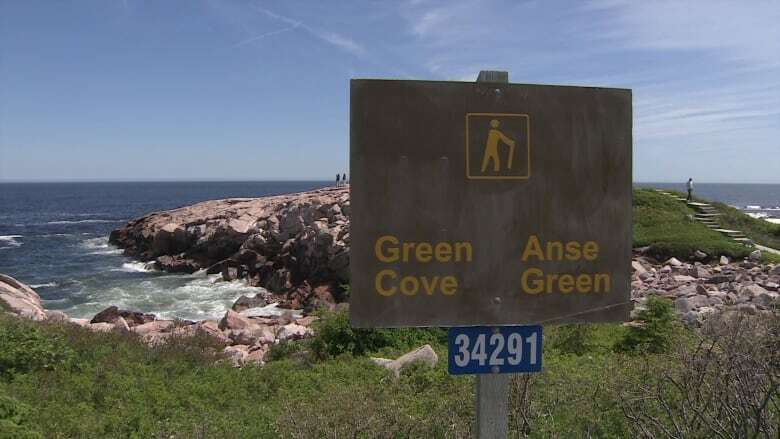 The foundation worked with Parks Canada over four years, she said, and had conducted an "extensive detailed impact analysis" that "confidently concluded" the project would not harm the Green Cove environment. "We are heartbroken that our project has fallen victim to politics," Stokes said in the statement. The group is "deeply saddened that so many people in Cape Breton, especially those North of Smokey, that have given countless hours of their time and hearts to this memorial, were treated in this shocking manner by Parks Canada." Her statement did not address Parks Canada's concerns about funding or design. The foundation is not taking interviews, Stokes said. Sean Howard, spokesman for Friends of Green Cove, the group that opposed the project, said the decision is "an immense relief." "In terms of our struggle to save Green Cove, it seems to be a clear 100 per cent victory for us." But he also described the decision to scrap the controversial eight-storey war memorial as "bittersweet." "It has been a bitter struggle and we believe an entirely preventable struggle. The project should never have been seriously contemplated for Green Cove," Howard said. The group said the proposed complex would have spoiled an area that is supposed to be protected from development. Howard acknowledged that supporters of the site may be angry about projected losses of jobs and tourists to the area. "I feel desperately sorry for the other side. I can only imagine how I would feel if the green light had been given," he said, adding the rift in the community was avoidable. "People's hopes were raised unreasonably. I think that was regrettable and the wounds will take a long time to heal." Lisa Mac Leod, who runs a Facebook group in support of the statue, was brought to tears speaking about the project's rejection. She said community support ballooned from 300 people at a town meeting to almost 1,700 in the Facebook group People North of Smokey, who agree to having our monument at Green Cove. "Our communities came together, rallied together in such big support," Mac Leod said. "We won't stop at this. It was so nice to see something positive in the world happen — and it was coming our way. I think we all deserve the respect of answers." The decision also comes on the heels of a damaging report released this week by the company hired to assess the memorial. LANDinc, a Toronto-based landscape architecture firm, said the project wasn't any more feasible than it was when the company pulled out of the project four years ago. The project didn't start off with plans for a large statue, said Patrick Morello, a partner with LANDinc. "Originally, that point on the site was meant to be a place for reflection, a space for one to two individuals, and it grew from there to having a sculpture that was three, four, five metres and then it kept growing and growing," he said. Mark Eyking, MP for Sydney-Victoria, said the Parks Canada decision essentially kills the project. He said he supported the project, but only as long as the Never Forgotten National Memorial Foundation met all the criteria laid out in its plan and private funding was in place. "The biggest issue was the money — and the money to build it and the money to maintain it," Eyking told CBC Cape Breton's Mainstreet. "It's not a big moment of celebration here that this is not happening here. It is what it is. The money didn't come forward." Eyking said he hopes the foundation looks for another place in Cape Breton or another design for the monument. "I was always in favour of them doing it here," he said.